Let the Fiix dashboard do the work for you. 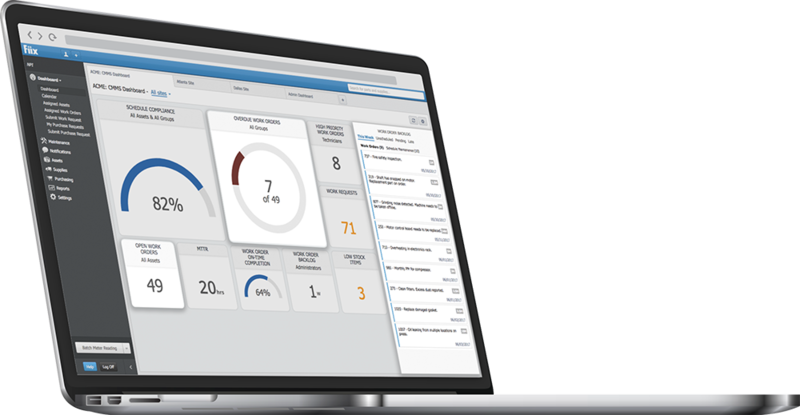 Make better decisions, faster with turbo-charged visualized maintenance data and analytics at your fingertips. Fiix is cloud-based CMMS software for maintenance and asset management that organizes, tracks, and schedules your maintenance activities. Faster. Better. For less. Minutes to get set up, not weeks. Our cloud-based CMMS software quickly organizes all maintenance activities into one easy-to-use tool. Stop spending hours logging work orders and staring at a list of tasks trying to figure out what’s next. It’s the maintenance slog and we’re here to end it. Simple enough for your entire team. And when work gets complicated, Fiix CMMS software has the features you need to move projects forward. "Game changer. Since I have brought this system into our company we doubled efficiency and reduced downtime by 50%"
"It’s so simple to manage users and navigate through assets to find relevant information like work orders, scheduled work, and parts use history, which has been a big plus for my department. I would recommend Fiix CMMS to any other maintenance department in a heartbeat." "We recently switched from an older system. The support team helped us get started on the initial transition within a few days, and had the system live the next week. We're just getting started and already the mobile app is making inventory management a lot simpler." "Before adopting the system we didn't keep a history for auditing and had no way to track true costing. But since getting the CMMS going, we've been able to see the full history of each asset and keep track of all our costs." "Getting Fiix set up was easier than anyone expected. I handled the transition on my own, and adding assets and users was really straightforward, so we were up and running almost immediately." "Coldwell Solar is growing fast and we wanted a cloud-based CMMS to manage our solar assets. I compared multiple solutions but always came back to Fiix. The per user pricing model is easy to understand and it's absolutely the best bang for your buck."